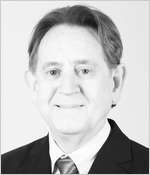 Clive has spent his career helping both large and medium sized organisations create and implement effective business strategies. While at IBM he was responsible for the introduction of the first Internet based services into the European marketplace. Following a move to Fujitsu he became the Strategy Director for Application Services, Europe helping the company to get to grips with Cloud based technologies. Clive has been certified by the George Washington University as a Balanced Scorecard Master Professional. 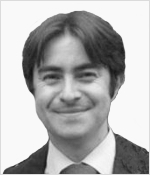 Nico has 25 years’ experience in various leading functions across the hospital, pharmaceutical and life sciences. He completed the “Corporate Performance Management” program at EHSAL in Brussels and is certified as a Balanced Scorecard and KPI professional. Currently, as Managing Director of Qsolution, he promotes the integration of Corporate Performance Management (CPM) end-to-end services in small to medium-sized enterprises (SMEs) across all sectors, with a special focus on CPM business training, Scorecards, Dashboards and Analytics. Nico studied Biomedical Sciences at the VUB in Brussels. He became Head of the Worldwide Clinical Data Management Organization at Merck Sharp & Dohme Europe Inc., a pharmaceutical multinational based in the US. He lead the worldwide Clinical MetaData Standards integration and Data Governance project for Johnson & Johnson. In parallel with his job, he followed a Masters in Clinical Data Management at the Kingston University in London and an Executive Masters in Business Administration at the Flanders Business School in Antwerp. 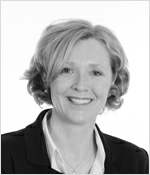 Julie-Anne has held a variety of senior roles in the corporate, education and charitable sectors. As a director of her family business and founder of Balanced Strategy Solutions, she also has a real insight into the challenges affecting small to medium-sized enterprises today. Julie-Anne has recently joined Recree8 as a Partner. With over 25 years’ management and business experience, Julie-Anne adopts innovative approaches to creating strategy-focused solutions for her clients. A Fellow of The Chartered Management Institute, Julie-Anne has an MBA from the Open University Business School and is certified by Kaplan and Norton as a graduate in strategy execution. Her commitment to continuing professional development ensures that the techniques she uses with her clients are based upon the latest global best practice. 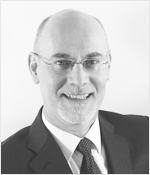 Peter has worked as a provider of management system solutions for over 25 years. He has extensive experience in Quality Management, Business Performance Management, Business Process Management and Business Software Solutions. Peter specialises in designing, developing and implementing solutions to improve business performance with key focus areas being strategy execution, alignment of people’s everyday work to strategy, alignment of key business processes to meet customer requirements, business intelligence and performance dashboards. 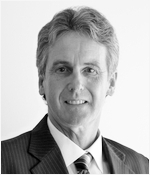 With proven experience in working with all levels of organisations within the Mining, Manufacturing, Finance and Fast Moving Consumer Goods industries throughout Australia, Peter has demonstrated time and time again his expertise in the area of business performance management. Robert has over 25 years’ experience in business – both as a manager and consultant – in various enterprises, private and public sector, and in industries as diverse as natural foods, tertiary education, utilities, telecoms, agriculture, IT and management consulting etc. These experiences have given him unique insights into what differentiates successful organisations from those which never seem to make the kind of progress that they seek. 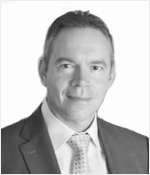 Robert is the founder of Lode Star Strategy Consulting in South Africa. Robert address both the “hard” side (i.e. building the mission, vision, strategy, scorecards, performance management frameworks) and the “soft” side (i.e. governance, knowledge and information management, human resources management etc.) when working with clients, at all times emphasising the role of leadership in effecting organisational change. Robert holds a B.Sc. (Civil Engineering, Pretoria), and a Masters’ in Business Leadership (MBL, Graduate School of Business, University of South Africa). He is also certified in the governance of enterprise IT (CGEIT), accredited by ISACA. 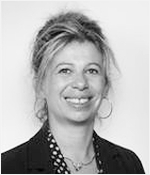 Pascale is an MBA graduate of the University of Geneva (HEC) and has been certified by the Balanced Scorecard Institute in Washington and the High College of Sustainable Development in Lyon. With 17 years of experience within a multicultural and international environment (Europe, Middle East, Africa). Pascale has worked in Sales and Marketing, Project Management, and held a Deputy Director position before creating her consulting firm Millenium Enterprises. Millenium focuses on strategy and sustainable development for both the public and private sector. Pascale also created an international NGO, in 2006, the International Alliance for the Millenium Development Goals (AIODM), aimed at supporting the United Nations program of the same same. Prior to founding Millenium Enterprises, Pascale had several senior roles both in France and the UK. Jorge is an Industrial and a Computer and Systems Engineer and has more than 10 years experience in technology and performance consultancy. He co-founded and works as Chief Financial Officer and Strategy Architect at Palmtree Consulting, a leader in performance management consultancy and Business Analytics. Palmtree has provided services to the largest companies in the Andean region and the Caribbean focusing on Business Intelligence, CRM, Financial Analytics and of course Balanced Scorecard. Palmtree has used a proven deployment methodology with companies like NuevaEPS, Colombia’s largest health care provider. They were able to establish a performance management system for more than 1,200 offices across the country, with more than 31,000 metrics. With Concentra, Colombia’s information office for the gas industry, Palmtree integrated information from all the Gas sectors providing up to date information to all the stakeholders while generating the metrics required to control the whole gas infrastructure of Colombia.